Yellow paint and wallpaper for kids, decorative pillows and curtains look bright and optimistic, creating beautiful kids rooms decor. Yellow color feels sunny ad warm. 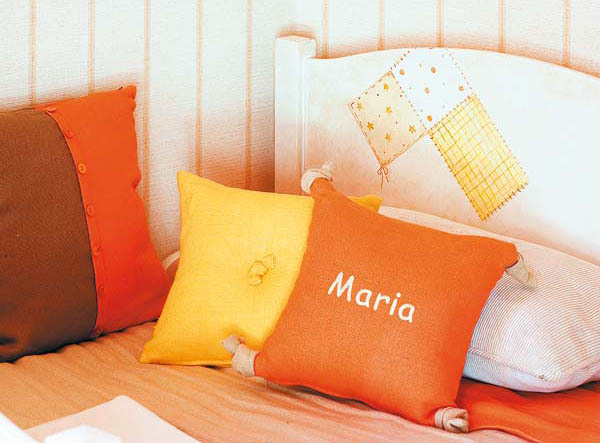 Yellow paint, wallpaper and decorative fabrics are decorating ideas for kids rooms that add comfort and joy. Yellow paint and wallpaper patterns, yellow decorative fabrics, wall art and yellow home decorations are a warming interior trend. Modern furnishings and wall decoration with yellow paint or wallpaper for kids infuse kids rooms decor with beautiful color shades and create vivid and stylish kids rooms. The combination of yellow paint or wallpaper with kids decor accessories in analogous oranges and reds look gorgeous with wood furniture and comfy brown colors. Shades of yellow color can be added with decorative pillows, rugs and wall art in yellow colors also. Green, blue and white color tones prevent the yellow color from overheating the room and create balanced kids rooms decor. Purple and pink, rich blue and turquoise jazz up kids rooms, offering exciting decorating ideas. Choosing kids room paint colors are easy, if you like to create warm and bright environment for your children. Sunny room paint colors are excellent ideas for kids rooms decorating. Light room color schemes, that include bright yellow colors are perfect decorating and painting ideas for kids rooms. 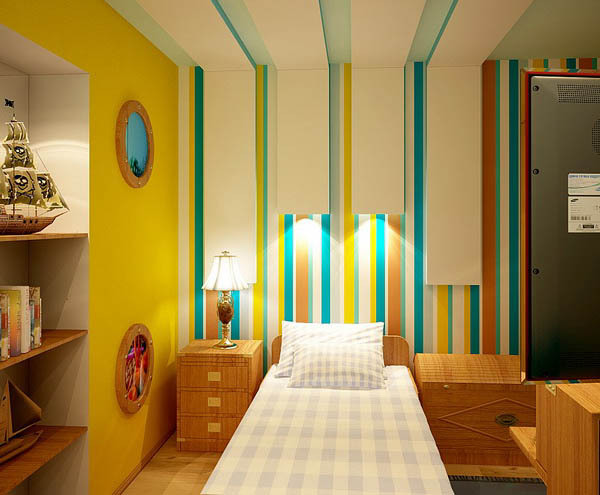 Cheerful and energetic yellow room paint colors, wallpaper for kids and decorative fabrics feel natural and comfortable. Kids really like decorating with yellow color shades, yellow wallpaper, pillows and yellow painting ideas. Yellow paint or wallpaper for kids rooms, decorative pillows and curtains, wall art ad small yellow decorations brighten up kids rooms decor and help children to socialize and be open, psychologists say. The blends of bright orange, red, warm pink or purple with yellow paint or wallpaper for kids rooms create wonderful, stimulating and dynamic environment that encourages children to learn and be proud of their knowledge. Say yes to light yellow color shades, when choosing the color for wallpaper, decorative fabrics and painting ideas for kids rooms.